We are exhibiting at Directions US, Directions EMEA, and NAVUG Summit. Directions EMEA: October 4-6. Madrid, Spain. NAVUG Summit: October 10-13. Nashville, Tennessee. Explore our e-Commerce solutions for your business. 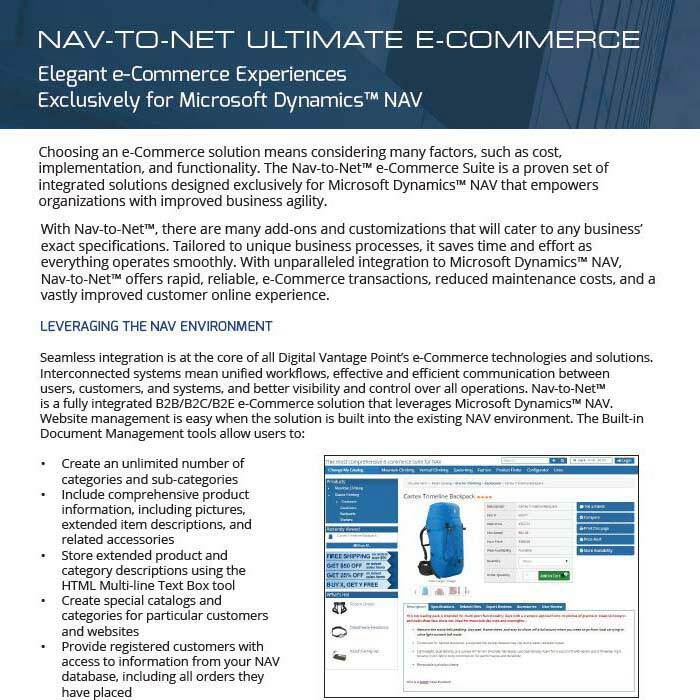 Nav-to-Net™ is the most integrated webshop solution built exclusively for Microsoft Dynamics™ NAV. 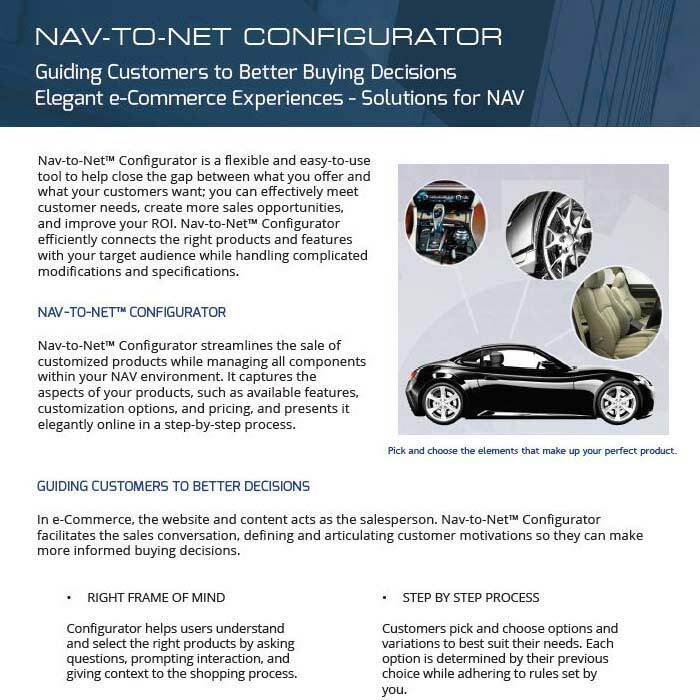 It's a sticky solution that will keep your NAV customers happy and loyal. We've got new updates and features to show you such as the new Configurator additions, Nav-to-Net™ stylesheets, tokenization and improved CMS, and more. 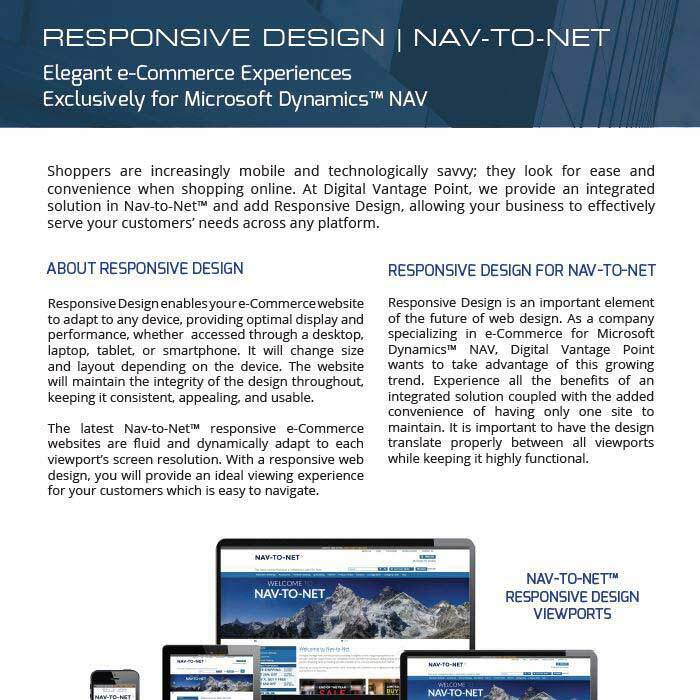 Discover how it can adapted to suit any e-Commerce business environment and improve ROI. Not going to the conference this year? We'll miss you, but you don't have to miss out. 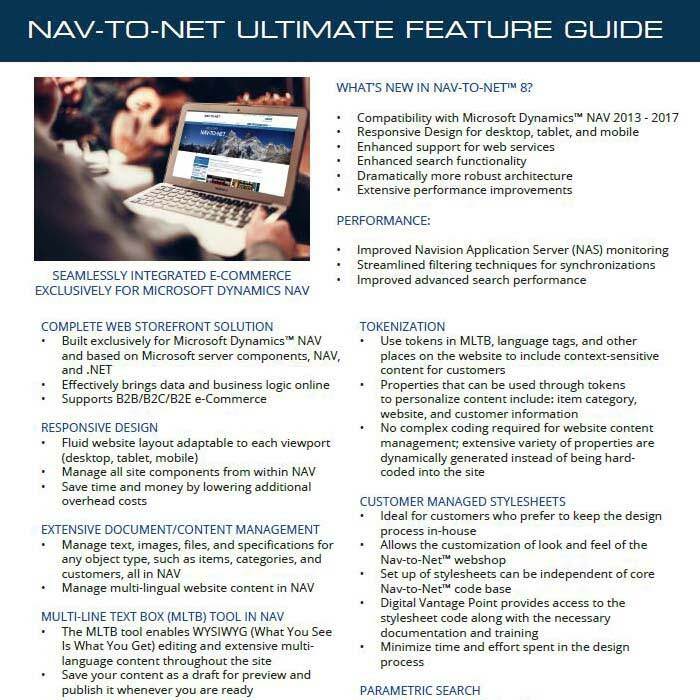 You can still get a feel for Nav-to-Net™ and learn how to elevate your e-Commerce business.